This collar is made with Italian leather, 18k plated hardware and covered with Swarovski crystals. Active dogs need active collars but nothing says your dog cannot also be a fashion plate. Let us at the Posh Puppy Boutique indulge your inner dog diva with a simply fabulous collar, darling. Our wide collection of Cycle Dog collars includes more than 140 at last count. Many, such as our Apple Green Retro Aluminum Latch-Lock model ($30), are made from recycled bicycle inner tubes. Perfect for active dogs—especially those that like the water—they feature an aluminum corrosion-resistant seat belt-style buckle. Being made from rubber, they will not fray like conventional collars while also being quick drying and comfortable. They are also hand made in Portland, Ore. Available sizes for this collar—size choices may vary depending on the style you pick—are medium and large. Matching leashes are also available. If Apple Green isn’t your color, consider Purple Lava Lamp, Orange Reflective, Solid Fuchsia, Solid Red and many other colors and styles. Our Dublin Dog Collection includes eight different styles of collars such as the Arrrgyle—take a look at the pink Pirate Punch collar ($30), matey. Made from a special blend of synthetic polymers that do not absorb moisture, retain dirt or harbor bacteria, they are lighter and stronger than earlier models. Sizes range from small to large. Collar ($34), which comes in small only. It is made from similar materials designed for your dog’s comfort and health. Our Pretty in Bows Collection will make your inner diva dog sit up and bark. This Brown Honey Dog Collar ($30) features bright fun bows over grosgrain ribbon webbing. Made in the USA, sizes range from double extra small to large. Matching leashes are also available for many collars. Consider a White Polka Dot collar with red daisies ($30), also made with grosgrain ribbon webbing. Sizes range from double extra small to extra large with widths varying by the size. Matching leashes are also available for many collars. Add some serious bling to your dog’s collar collection with this Rose Swarovski Crystal Leather model ($180). Each handcrafted collar is Made in the USA using imported Italian leather with all hardware plated in 18k gold. There are 14 small Swarovski crystals set in 18k gold on the buckle and loop for added style and sparkle. This collar is only available in extra small and small sizes. Wednesday we welcome in 2014. Start the new year off with a resolution to get in better shape by taking your four-legged pal out for more and longer walks. The best way to ensure your pup is safe and secure is with a stylish new harness and leash from the Posh Puppy Boutique. This Hip Doggie harness has an attached lead. Our Micro Suede Burgundy Step-In Harness with attached lead ($30) from designer Hip Doggie is easy to wear and designed for growing dogs. Your dog literally steps into the harness as soft suede straps go around the front legs and chest, keeping them secure. A sliding double toggle keeps the harness secure without being too tight or restrictive. Sizes range from extra small to large. It is also available in black, brown and five other colors. The Star harnesses come in many colors. We also sell several variations on this Fur Star Harness ($30). Available in a host of colors, such as elegant black, it uses micro suede straps and a quick release buckle for easy application. Sizes range from extra small to extra large. Matching 4-foot leashes are available for $30. Among the many other colorful combinations are pink fur and brown fur. Designed for active people like you, the Convert Harness ($35) has a cotton lining and polyester outer shell. It is designed to accommodate accessories, such as packs for long hikes and a LED light for evening walks. A Soft Touch Traffic Handle can be added for additional control. Sizes range from double extra small to double extra large. Extrm harnesses are designed for large, powerful dogs. Keep control of your dog with the Xtrm Logo Dog Harness ($25). The bold patterns and bright colors, plus a sturdy design, gives you great control when walking or training your dog. Made with weather and stain-resistant nylon, these harnesses are designed to be perfect for larger, powerful breeds. Three sizes are available. Smaller dogs, especially girls, will enjoy this Leopard Collection Harness ($22). It uses quick-release buckles making it easy to get on and off your dog while ensuring a snug fit. Sizes range from extra small to large. Matching leashes are also available. Note that much of our pet clothing—dresses, coats, hoodies and sweatshirts—either function as a harness or is designed to work with a harness or collar. This Angel Harness Vest is from designer Yvette Ruta. The Posh Puppy Boutique’s After Christmas Sale is underway. It runs until midnight PST Thursday, Dec. 26. Shoppers can save 25 percent on their entire order, but only if they get going. This price applies to both the 10,000-plus items available online and the selection at the Posh Puppy Retail Store, 6040 Stanford Ranch Rd, Rocklin, CA, east of Sacramento. Simply enter the coupon code “After” at checkout to receive your 25 percent savings. Restrictions: this discount only applies to new purchases and cannot be combined with other discounts or coupons. So what can you get your dog or cat that Santa—and sophisticated owners—might not have brought? Your little girl can dazzle everyone, even those on Broadway, when she walks around in her Couture Angel Harness Vest ($504) from Designer Yvette Ruta. Made with luxurious faux white croc, it is covered with Swarovski Crystals, rhinestones and gemstones. Each vest is individually embellished for a one-of-a-kind look. Sizes range from extra small to extra large. Ruta also makes this couture denim harness vest. Also take a look at Ruta’s Denim Harness Vest in silver ($420), adorned with rhinestones and a faux fur collar. Sizes range from extra small to extra large. Dress your little four-legged man in style with our stunning, yet simple, Black Tuxedo Vest ($25) and still save 25 percent. The tuxedo bib is fitted with a single button and topped with a red satin bow tie. It can be custom fitted to any dog or cat. Available sizes are small, medium and large based on your pet’s neck measurement. This Couture Black Rhinestone Tuxedo Vest ($216) is jet black topped with a black bow tie and two large crystal buttons. The split tail is lined with rhinestones. Sizes range from triple extra small (teacup) to medium only. You pick your tie's color for this tuxedo vest. Take your pick of black, red, teal or white tie with this Couture Tux Harness Vest ($145). Available in sizes from double extra small to medium, this tuxedo and tails combination is made with comfortable cotton and has a wingtip collar, piping detail and a secure “D” ring for leash attachment. Custom sizes are available. Refer to the link above for details. Keep saving on your dog and cat accessories by signing up for our email newsletters. Just scroll down the Posh Puppy Boutique’s home page and spend a few seconds entering your email address. Psst! Do you want to know a secret? Some select people can save a whopping 25 percent off the Posh Puppy Boutique’s extensive selection of dog clothing and accessories. Our After Christmas Sale officially starts on Thursday, Dec. 26 and runs until midnight PST that night only. You—and anyone who signs up for our online alerts—can start your after Christmas shopping the day before Christmas. Just enter the coupon code “After” at checkout. Restrictions: this discount only applies to new purchases and cannot be combined with other discounts or coupons. So what can you get your dog or cat that Santa Paws might not bring them? Consider a great winter parka from our selection of nearly 400. Take for example our Shearling Lined Jacket ($55) in Navy, Olive and Burgundy. These jackets come in sizes to fit teacup breeds through Springer Spaniels, Bulldogs and mixed breeds. They are soft, comfortable and most importantly this time of year, warm. Go a bit more stylish with any of nine embroidered hoodies such as this All Girl version ($45) in purple micro suede. These hoodies are fully lined with white fleece then embellished with large detailed embroidery on the back, rhinestones—what girl doesn’t love bling?—metal cord stops and a zipper pull. A leash port and “D” ring are also part of this dog-only design. Sizes range from small to extra large. Check our website for sizing details. Some of other embroidered options are: Girls Rule ($45) in pink, Mom in black with a tattoo design ($45) and Heartbreaker ($45) in red. If you prefer to go even fancier, and get ready for the upcoming New Year’s festivities, shamble on over to the Dressy Coats section, also with nearly 400 great looking coats to pick from. And if you get one before midnight PST Dec. 26, you can save 25 percent. Three Big Bow coats with faux fur collars and bottoms are very stylish. Pick from Red with Tipped Fox ($98), Red with Hidden Fox ($108) or Red with Black Mink ($98). Sizes range from double extra small to extra large. Get the style of a fancy coat and the warmth of a parka in one. Combine the style of a fancy coat with the warmth and practicality of a parka in our Snow Princess Parka Coat ($40). This bright white parka has a sewn grid, snap-button detachable hood and a “D” ring for easy leash attachment. Your style shows itself in the large black polka dot bow topped with a white pom-pom. Toys, toys and more toys. What dog doesn’t love toys … along with ear skritches ands treats? Here at the Posh Puppy Boutique weHereHereHerreHer have toys—and treats—for dogs of all sizes and breeds. Take for example this Puppermint Martini ($12) plush toy. It is ultra-soft and double stitched with embroidered details. This Large Christmas Singing Brown Dog toy sings “Jingle Bells” once it strikes a surface. The voice box is removable for unsupervised play. Dogs that like to push toys with their noses will have a blast playing with the Holiday Christmas Reindeer Tough Ball ($17). It adds Tough Chew Guard ™ technology to stand up to even the toughest of chewers, like teething puppies. The Hide-A-Squirrel is one of our many fun plush toys. The Hide-A-Squirrel Puzzle Toy ($18) includes three plush squirrels with squeakers. The toy is designed to challenge your dog while giving him or her hours of fun. It is available in two sizes. The Holiday Bungee Bone Toy ($12) is made with a soft traditional plush material in festive holiday colors. It’s perfect as a stocking gift for any dog. There is always the old favorite toy of most dogs, but with a twist: The Christmas Bone Toy ($15) is 9 inches long and 5.5 inches wide at its widest part. They include a squeaker for your dog’s added enjoyment. Another good choice are some of our crocheted toys. Take a look at this Frost Organic Toy snowman ($13). Designed for small dogs, it is 3 inches long and made with 100 percent organic cotton. Another holiday-themed organic option is this Fez Monkey Crocheted Toy ($15). Also designed for small dogs, it is made with 100 percent organic cotton as well. Most dogs enjoy toys but all dogs enjoy treats. Give your dog a special snack that is a perfect complement to your holiday baking. We sell a 24 Assorted Mini Christmas Treat Gift Box ($26). You will find a selection of gingermen, Christmas trees, wreaths and candy canes all made with peanut butter dough and coated with carob, yogurt or peanut butter. The Christmas trees are dazzled with human grade—and animal safe—nonpareil balls. Larger dogs may like our 6 Gourmet Snowflake Treats ($21). Made with peanut butter dough, each treat is hand decorated with tasty—and dog friendly—yogurt coatings. When you are thinking about Christmas pet apparel and gifts, look no further than the Posh Puppy Boutique with an unequaled selection of more than 10,000 items. This Yuletide Tartan jumper is made with small dogs in mind. 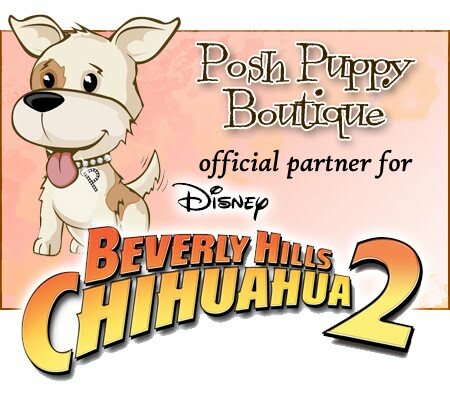 The Posh Puppy Boutique is known for its extensive selection of designer clothes. Did you know that we have great outfits for even the smallest dogs? Our Lil Teddy Vest ($53) is available in sizes starting at XXS for pups weighing as little as 2.5 pounds ... and going up XL. A companion piece is the Sugar & Spice Thermal ($40) featuring a gingerbread cookie applique. Both are made with plaid velour with a white collar and both look great during the holidays. A similar product, our Yuletide Tartan Jumper ($25) comes in sizes from XXS to L. It has a red bottom, black suspenders and a contrasting collar. Dr. Seuss fans may want to go green this holiday season with our Christmas Grinch Holiday Vest ($35). In sizes from double extra small to medium, it features white buttons and a white satin bow. Two Velcro closures keep your dog comfortable. Get your little sweetie a Gum Drop Harness. This pink Gum Drop Harness ($48) comes to you from designer Ruff Ruff Couture. It is designed to slip on and go. Made with creamy microsuede, it is lined with blakie soft velour hearts. Sizes range from double extra small to medium. Top your pet’s outfit with one of more than six festive holiday-themed hats designed just for dogs and dare I say it, cats. We have a lot of fun Santa hats designed for dogs and cats. Check out this Christmas Santa Hat ($30) made of velvet fabric. Designed for dogs in sizes from extra small to medium only, an elastic band keeps it in place. For something a bit more elegant, consider the Santa Feather Hat ($30) or if you want add a touch of humor, the Christmas Tree Hat ($30) in sizes similar to those above. Another great holiday option is to surprise Santa by having him greeted by your dog in this adorable Santa’s Lil’ Helper Costume ($48) in sizes from extra small to extra large. The outfit includes a matching hat. This bandana is a perfect gift for a boy dog. Are you having a hard time coming up with holiday ideas for your pet? 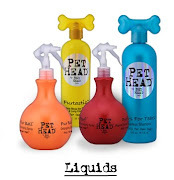 Then consider these suggestions from the Posh Puppy Boutique for a boy dog. This Christmas Tree Knit Bandana ($25) come sin sizes from double extra small to large. It is made to order so allow extra time for delivery. These Green Snowflake Long John Pajamas ($25) from designer Hip Doggie will add color and warmth during the winter. Sizes range from double extra small to extra large. They are also available in red. Our Anti-Slip Socks ($12 for a pack of four) feature Rudolph. They are perfect for keep little doggie feet warm indoors on cold wood, tile or brick floors. Sizes range from extra small to large. Made with cotton, they feature an anti-slip sole. They are great for dogs of any age, especially older ones with hip or arthritis issues. Our Red Nose Rudolph Reindeer Hoodie Sweater ($40) adds color and warmth to the holidays. They are made with 100 percent acrylic. Sizes range from double extra small to double extra large. This Black Snowflake Hoodie ($35) from Hip Doggie is soft, warm, comfortable and looks good all winter long. Available sizes are extra small and medium only. Our Elf Christmas Dog Stocking ($20) is 11 inches long by 7 inches wide, making it perfect for your pup’s Christmas toys and treats. Speaking of toys, consider this many Tuff Ones Nutcracker Plush Toy ($12), which is 9.5 inches long. Your pup will have tons of fun playing with it. Another great dog toy for the holidays is our Squeaker Mat Long Body Gingerbread toy ($25). This 11-inch long toy has several squeakers inside and is perfect for multiple dog households. Your dog will look Oh So Pretty in our hoodie. “Santa, all I want for Christmas is a new outfit from the Posh Puppy Boutique.” While we might want our dogs to say this even though we know they can’t speak. One of our most popular Christmas outfits is this Oh So Pretty Hoodie ($43) made with cotton poly and poly rayon. Handmade in the USA, it is available in sizes from extra small to medium. This dress is made with 100 percent cotton. Our red Tartan Plaid Holiday Dress ($36) is made with 100 percent cotton and adorned with red tartan plaid ribbon around the neck, waist and skirt hem. Sizes range from extra small to extra large. Give your boy and girl dogs matching outfits with our Sugar and Spice Dress ($50) and Sugar and Spice Thermal ($40). Both items from designer Ruff Ruff Couture feature a red plaid velour and textured gingerbread applique. The dress has a white peter pan collar and red plaid velour double ruffle skirt. The Thermal has a white band collar. Sizes for both range from double extra small to extra large. Our Santa Paws coat is extremely popular. Our Santa Paws Coat ($50) is one of our most popular items. Get yours before it sells out. This bright red trench coat has a black belt and buckle details plus a built-in “D” ring for easy leash attachment. Sizes range from extra small to large. A matching hat is included. Dress up any holiday outfit with our Santa Paws Scarf ($20) made just for dogs. Avail in sizes from extra small to double extra large, it is made with sateen and topped with pom-poms on the ends. Girl dogs will look even prettier with one of our Snow Bear Hair Bows ($7). Available with either latex bands or a French clip, it is about 1.75 inches long and features a gingerbread bear wearing a red cap. Boy dogs will look festive year-round with the perfect complement to their outfit: a Christmas Argyle Nylon Ribbed Martingale Collar ($20). This green and red collar is perfect for walks. It comes in medium and large sizes. Matching 4-foot and 6-foot leashes are available for $20 each. This Christmas Tree dress includes two hair clips. Get your little angel perfectly dressed for Christmas with the Christmas Angels Harness Dress from the Posh Puppy Boutique. This $50 cotton dress is printed with angels, sleighs and poinsettias. It has gold metallic threads throughout while the waist is trimmed with gold and red ribbons. It is available in sizes from extra small to medium only. Our Christmas Tree Dress ($45) features a soft tulle tutu dress and two hair clips. Sizes range from extra small to extra large. This Christmas Dress is made with red velvet. This Elegant Red Velvet Furry Dress ($40) has a white boa trim around the neck and skirt. Made with red velvet fabric, it has double snap button closures plus a small “D” ring for easy leash attachment. Sizes range from extra small to extra large. This Christmas Couture Crystal Snowflake Princess Dress ($192) is made with white satin and has a cotton and satin skirt and decorated with satin ribbon. A handmade product, it takes 3-4 weeks to be produced. Available size range from teacup to medium. Go the couture route with this 21-wale corduroy Christmas Tree Dress ($205). Loaded with embellishments, it has an embroidered skirt and bodice plus tons of details. It also takes at least two weeks to make. Sizes range from double extra small to medium though precise measurements are requested. Take your pick of any of nine screen-printed Christmas dresses, $20 each. Sizes may vary by design but the typical range is from extra small to triple extra large. Among the choices are I Love Christmas, Merry Christmas, Christmas Paw Rhinestone and others. Most dresses have the option of a pink or red skirt. Trim your choice of Christmas dresses with our Santa Sleigh Hat ($22) trimmed in white faux fur and topped with a pom pom. Four sizes are available.